uPC1237 is a bipolar analog integrated circuit made by NEC designed for protecting stereo power amplifiers and loudspeakers. 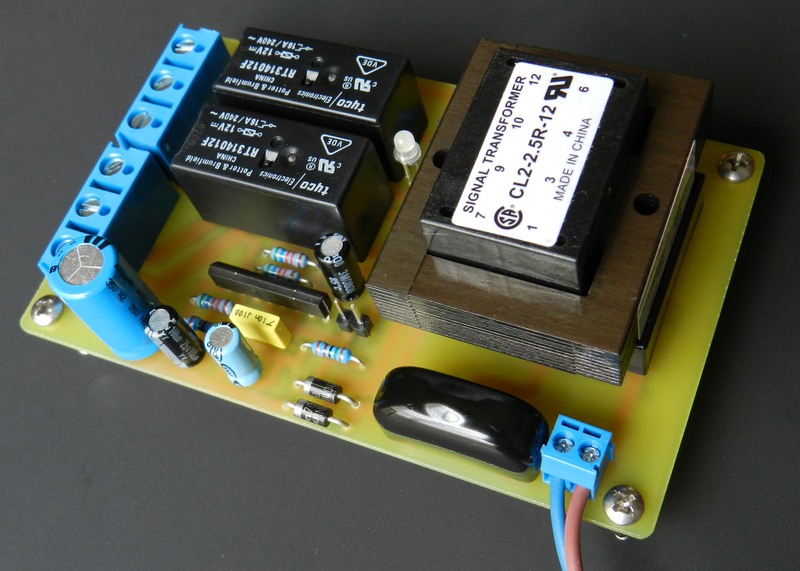 It features AC power OFF detection, time delay from amplifier ON to speaker connects, and negative or positive output offset DC level detection. This is another audio power amplifier project in the series that uses an op-amp in the input stage. The prototype is populated with eight 800V/20A/200W NPN power transistors from Fairchild Semiconductor configured in a quasi-complementary output stage topology. 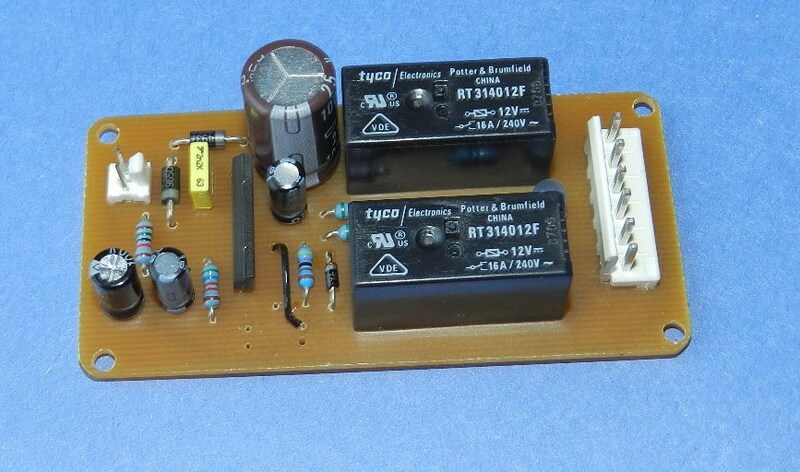 These T0-264 packaged power transistors are typically intended in high-voltage color display horizontal deflection circuit applications but performed very well in this project. 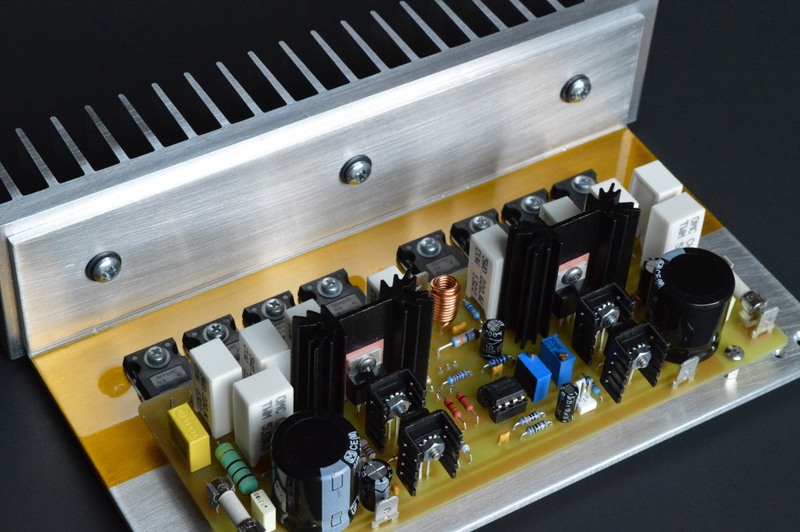 Initial test results shows that the amplifier is capable of producing a power output of more than 300 watts into an 8Ω load with ±72VDC power supply rails. 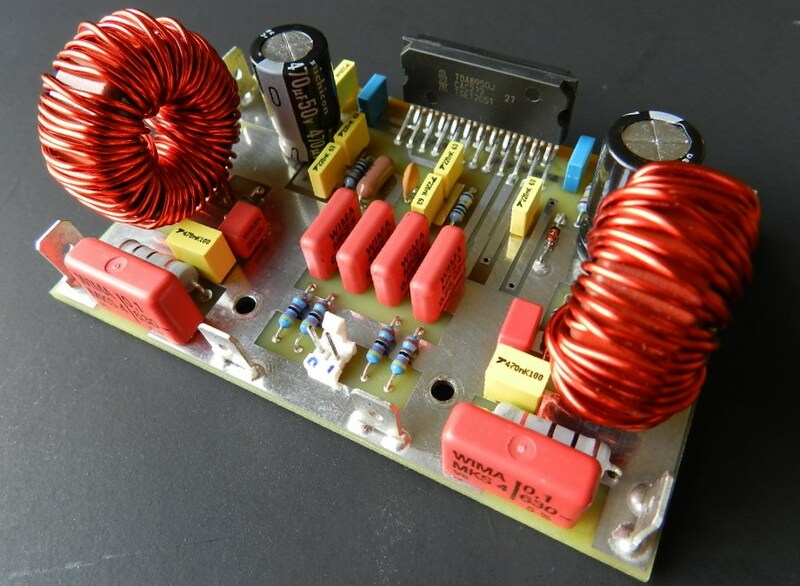 This is another audio power amplifier project in the series that uses an op-amp in the input stage of the amplifier. The complementary 200V 16A 250W TO3-packaged output stage transistors from On Semiconductor are excessively biased about 500mA of current per transistor. 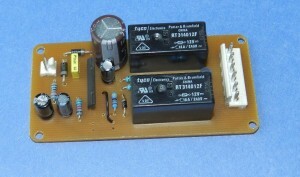 The prototype when connected to a ±35VDC power supply rails was able to produce a power output of 50 watts into an 8Ω load with a THD of 0.00186% and a flat 20Hz to 20KHz frequency response as measured by a QA400 audio analyzer. The overly biased amplifier reproduces surprisingly pleasant listening experience.